What: Fan-run convention celebrating popular Japanese visual culture in all of its forms. What: Canada’s premier fan-run anime convention. What: Northern California’s largest anime convention. What: New for 2011! Japanese animation, manga and popular culture convention. 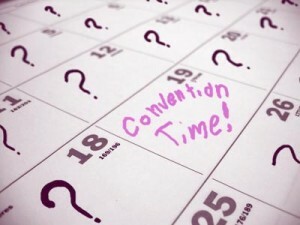 What: Tri-fandom convention; anime, steampunk, furry. You do realize that Nakamacon has been canceled for some time now?